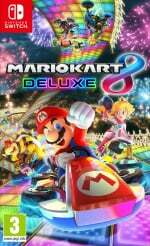 UK chart data is now in for the week ending 16th March, revealing that Mario Kart 8 Deluxe is still speeding along as the Switch's best-selling exclusive for another week. After a strong third-place finish last week, the game saw a 12% drop in sales this time around, subsequently making it fall four places to number seven in the all formats chart. The game sits just a couple of places above fellow Nintendo exclusives Super Smash Bros. Ultimate and New Super Mario Bros. U Deluxe. Elsewhere, newcomer Tom Clancy's The Division 2 debuts at number one, despite physical sales being significantly lower than the original The Division back in 2016, and Grand Theft Auto V jumps up to third place despite now being more than five years old. How is it still selling that many copies?! This might end up the best selling edition of Mario Kart yet. Which is pretty crazy, all things considered. Mk8 is still popular so when are we getting more dlc? They would make millions releasing 2 more cups, even if they were all old tracks. I don't get it Nintendo! The Division 2 sold 20% of what's The Division 1 sold at launch. It would need an obscene 80+% digital attach rate to even come close to the launch sales of the original. I think the looter shooter train is officially over. Switch evergreens and Rockstar games continue to perform exceedingly well. @iMarkU The ports are a necessity or the Switch would be pretty devoid of full retail Nintendo games and Nintendo needs them to sell systems. But there's no denying that many of them are old games that WiiU owners have played before. So those people have a reason not to be particularly impressed by them. At what point does GTAV go above Red Dead? Madness. Are people buying multiple copies or something? Is GTAV being used to wallpaper corporate headquarters? What happens if GTAVI comes out? Does the world economy simply come to an end? @Pod I'll be very impressed if it reaches the sales of MK Wii. It was funny when people still said that. It’s even funnier you still get people saying it now. @iMarkU WiiU owners like me want new experiences, yes. Though I acknowledge not everyone had a WiiU. Though those releases do nothing for me and I am not paying for a game I already played to death and still have access to. Also you gotta factor in, that those that had a WiiU might hang around Nintendolife or other Nintendo centric side, so you probably have a vocal minority that just wants to have other expriences, after they had their fill on Wii U. With that said, while others might be happy I am a bit on the meh side, though let's face it, for Nintendo this is an easy calculation. I keep getting ads for the Xbox One version of the Division 2, in Japanese here. I don't understand why. Only like 19 people in Japan own an Xbox One and there is a PS4 version of the game. Lego Movie 2 on Switch was also 9th in multi format units, not too bad considering it came out a bit later than the other consoles. I was just being cynical (: . I had a Wii U myself as well, but I realize that porting these games cost almost zero effort for Nintendo. Therefore the argument that "they might as well make new games" are quite irrelevant. Besides these games are not promoted by Nintendo as big releases and they fill the gaps between the big releases. Its not Nintendo that needs to create more games (they actually have an incredible high output in comparison to Microsoft/Sony their own studios). Its the third parties that need to make more games for the Switch, and that is Nintendo's responsibility to get them onboard. Which is, again, a whole different team's responsibility than this porting team. 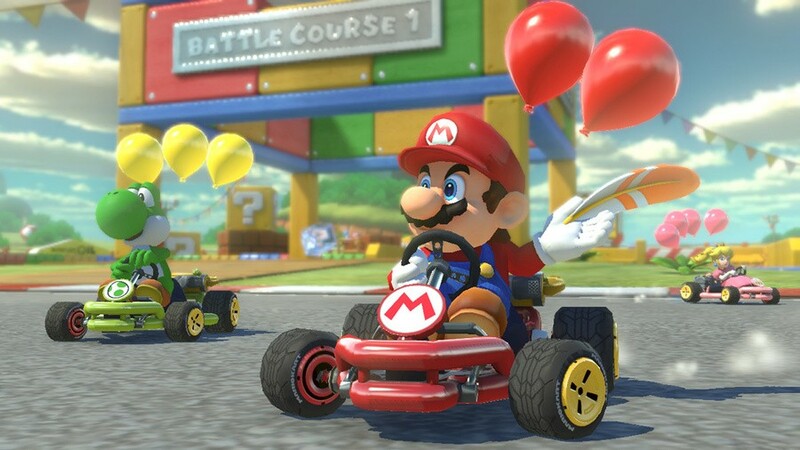 I don't see Nintendo releasing a Mario Kart 9 unless they have a big game changing mechanic up their sleeves. I actually rather have them creating new DLC for Mario Kart 8. This is actually the only game I bought again on the Switch, only because its a multiplayer game and I play it so much. This has just reminded me I haven't played battle mode on MK8 Deluxe yet. Think I'll give it a go this week. @USWITCH64 No problem, To each their own. For some even to play Mario Kart on the go is a factor to double dip, for me I rather enjoy Octopath Traveler or another release. @iMarkU Don't ya worry . I know it just makes sense for Nintendo. You have this large untapped market and can use those ports to bolster your library while the new games arrive with zero effort. I certainly hope the side effect of not using the dev time for a Mario Kart will hopefully result in a F-Zero Switch title, but I also look forward to other experiences like Astral Chain, a late Metroid Prime 4 and more unannounced titles. @KingdomHeartsFan nobody asks them to be particularly impressed. You're either in the market for a game or not. If you've already bought the game, owning a new console doesn't oblige you to double-dip - but that same fact also leaves you to come to terms with likely not being the port's target audience to begin with. Switch's userbase is more than twice that of Wii U by now, and portability is portability. You'd think a significant lot of SNES owners had played A Link to the Past as well, so was that a reason not to bring it to GBA? Certainly not. Besides, people really need to ditch the impression that ports and new games exist on the mutually exclusive basis. Filling out first-party calendars inbetween new releases is but one of these ports' many benefits, but it's naive to think that without these ports all the new games would start coming out every week. They're still being worked on at the developers' own pace (lobbying to rush which is audacious AND irrational of the gamer crowd that simultaneously complains about living in the Patch Age) while ports tend to get outsourced to other folks. I'm very well aware of the numbers MK Wii achieved. Meh, I'd rather not have any more DLC. Let the team do something new. The first game was crap at launch and went through the same problems and changes as Diablo 3, so people might be waiting for things to settle before buying the game. Also there is a lot more competition in the looter shooter market. Also there are free-ish games like Fortnite and Apex Legends that seem to attract the younger crowd, so I doubt it will ship as much as the 1st Division. @Pod I thought you might. I just didn't want to make an assumption though. You know what folk can be like. @nhSnork I didn't literally mean "not particularly impressed". Come on snorky you know what I meant. Some people don't want the ports so they moan that they want new games instead. They know that there are new games in the works. They're just sharing how they feel at the moment, with their fellow gamers. Quite randomly I spent most of the weekend trying to track down a physical copy of Ultra Street Fighter 2. No joy unfortunately. Personal bummers are no crime to voice, but they can easily reach a critical mass where they start sounding like acts of fan entitlement even if they're not quite at that level of intention yet. It's easier to hit oversaturation with port complaints than it is with ports themselves. 😏 And since we're talking an audience-driven segment of commercial fiction rather than a merch-driven one, I can also understand some people's feelings of concern that some industry folks including Nintendo themselves might misinterpret the vocal market bits and end up lobbied into axing many topical projects. Historical disasters like Disney's from last decade don't help in that regard. Yeah and Division 2 is actually really good. Not many real reviews are out because the game is huge and it was built around the end game. Reviews will be good. Division launched on Tues and Division 2 launched on Friday. Mk8d is a great game and will always be up there. I double dipped on this and although I haven’t gave it much time my kids still play it and have added a lot to this game to make it accessible to younger players. Battle mode with family is brilliant. @Krull Each physical copy of the game comes with 500,000 (I think) in game credits. People have realised that if they can get the game cheap, they can get a better deal of in game currency than buying directly, especially if they then trade it in. So Take 2 are basically destroying the second hand value by having people rebuy the game, use the code and then sell it to CEX or something. @nhSnork Nintendo only pays attention to numbers, they don't care about fans. They are delighted with the port's sales. I don't complain about ports but for some Nintendo fans the overpriced ports of games released in the beginning of the current generation with no cross-buy available is a act of greediness. Mario Kart 8 is not my favourite Mario Kart game anyway. For me there are more important things to care about like Metroid Prime 4. Anyway. "Fools Gold" and "Spoils of War" are helping Red Dead Redemption 2. Played Division 2 all weekend. Lots of fun with 2 friends. They really improved on the first. But not being in NYC takes a bit from it for us. @BlueOcean This has nothing to do with greed. Even if I'd rather would have a MK9 entry Hints do actually shows business acumen. The install base was tiny, so yeah, re-releasing the game on Switch Is a no brained. Even with me disliking the step, if I would have faced that decision, it would be a no-brainer to re-release it. Right? More please I want NES remix that game was a riot! Without the Japanese chart this is getting boring, the UK chart has the most boring games up there and with no hardware sales for me to rant about this is not fun anymore. @westman98 The game suffered a lot of problems at launch and took a while to finally be fix such as the lack of content. The original playebase probably isn't taking any chances. Another thing to add is that they're already better games out there in the market, even games of the same genre like Warframe which is a well established looter shooter and has more content than the likes of which the Division will ever hope to achieve. Yeah it seems like the success of Fortnite and Apex Legends has changed the game forever. I don't think any shooter will ever reach the commercial success of past entries ever again due to the popularity of those two F2P titles. For many casual fans, there is no point in paying full price for a shooter when Fortnite and Apex Legends are both free. @westman98 You might be right. They are the equivalent of LOL for call of duty and battlefield players. I'm starting to wonder if there's a rule where you have to buy GTA V every so often. @Lemmy_the_Koopa Nah, you misunderstood me. Of course it's a no-brainer to release ports and all companies do that but what I mean is the way Nintendo handles them with no cross-buy and even more expensive than originally. That's what I consider way too greedy. @USWITCH64 Nah we need Mario Kart ULTIMATE............9. My wife bought me a PS4 at Christmas and sadly since then I have had little or no reason to use my Switch. Played Last of Us, RDR2 and Shadow of Mordor. Next up Spider-Man and maybe Horizon Zero Dawn or GTAV. Sadly I’m realizing today looking at the options in EB Games the Switch can’t compete with the PS4 in terms of games in of volume with depth to sink massive hours into. I sunk 150 hours into Zelda, 200 Xenoblade and about 120 into Diablo 3 ... just ran out of games of like this to continue playing. @AnMhiU Get bloodborne next, its superb.